I received a fantastic Facebook Instant Message this morning. I have had a lot of prospects (read: PEOPLE) who have been approaching me for personal training and to join my boot camp. Too many for me to help actually. It's not because I don't want to. It's because I DON'T NEED to. 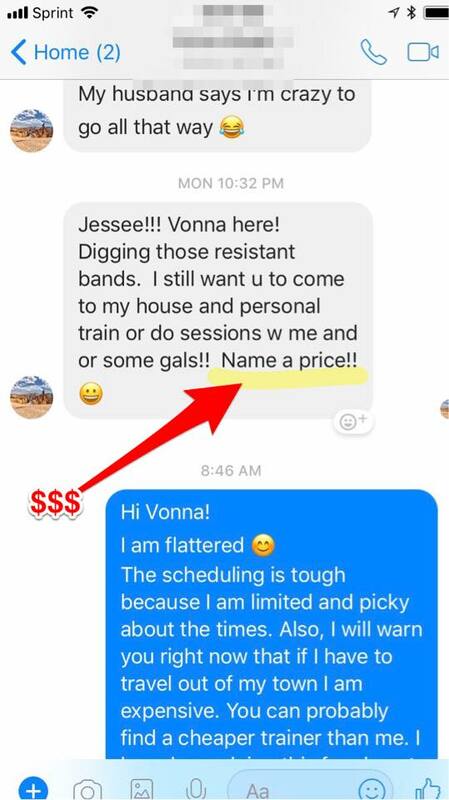 I keep raising my prices and making it tough to join or to book me. I do that ON PURPOSE. Here is my Anchor Point Training vs. TRX Part I and II videos. Toward the end, I even demonstrate a 5-minute workout that can be done anywhere you want. ↘️If you want the APT system, click here.